Are people still whining about Deep Ellum being 'ruined'? 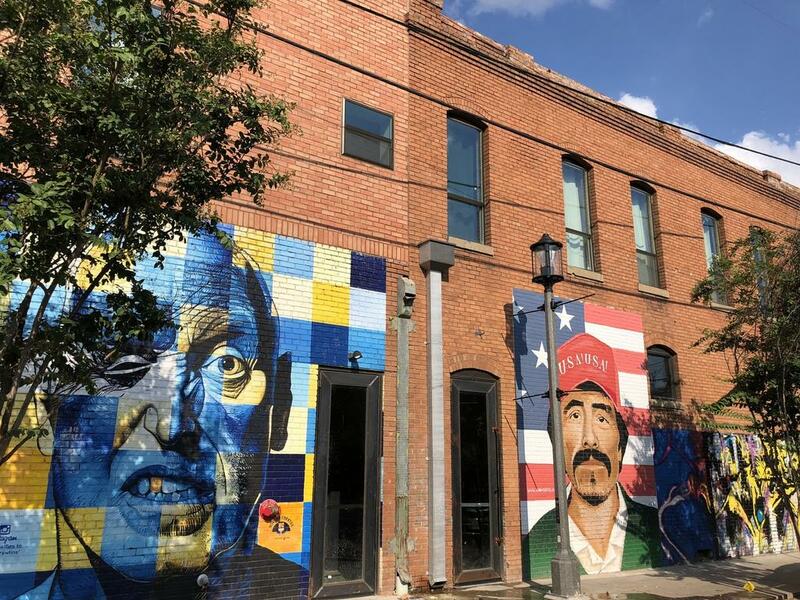 I get that it's not the same district that it was a couple decades ago, but the old Deep Ellum had it's chance, it failed, and now the area is back in a big way. It's not the same as it used to be, but it is a huge success, regardless. 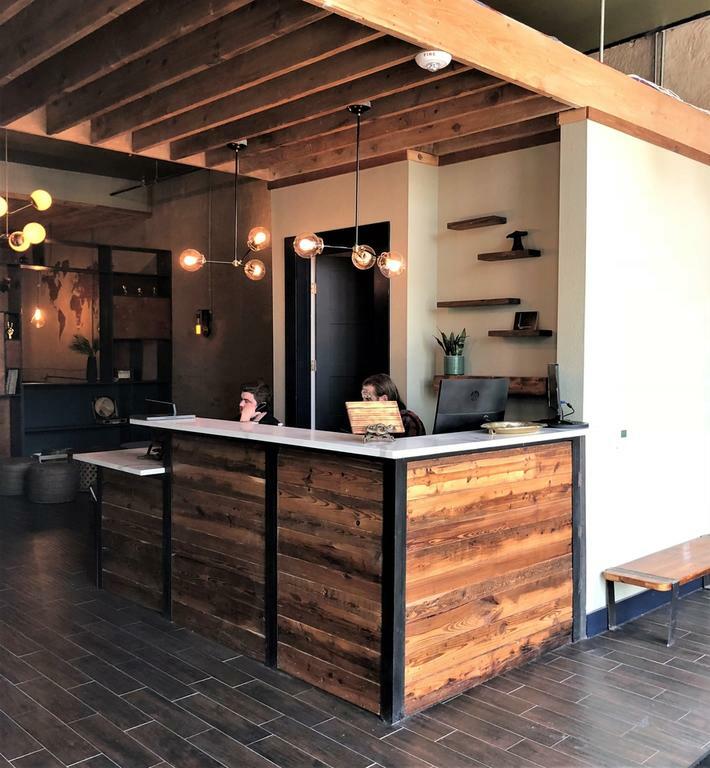 I've never been to Punch Bowl social, but seems like a good use of space, as I think it will be the type of place that draws people throughout the week. DPatel304 wrote: Are people still whining about Deep Ellum being 'ruined'? I'll be worried when people stop whining that Deep Ellum is being ruined. My gang of collegiate punks started ruining Deep Ellum about five years before the our style turned Deep Ellum into something of a national music destination. The scene failed almost as quickly as it succeeded, crushed by it's own weight, chocked on it's own vomit whatever. The kids who are ruining Deep Ellum today will be the one whining in 20 years about how Deep Ellum is being ruined. Fun. Good times! Deep Ellum is turning into something else, but no one can say what it is, and that says a lot. willyk wrote: Deep Ellum is turning into something else, but no one can say what it is, and that says a lot. Hopefully all the 1 story commercial buildings in core Deep Ellum get completely filled with businesses (would like to see more varieties of businsses in the nabe) with the more outer edges of Deep Ellum becoming more residential with the empty surface lots becoming 3-5 story small apartment buildings (not donut replacing megalithic monoblocks) and maybe even some space for parks or a skate park area. The city should also do more to encourage murals and graffiti art going up on the walls and even let some areas be free reign for artists. I'll say what I always say these days the city needs to start planning to move out of Deep Ellum. The land the city controls down there is massive and perfect to absorb big developer interest in the area without tearing down the 1 story core that most people love in Deep Ellum. The city can then move those facilities to South Dallas as an economic improvement in a less than a wonderful area of town currently in need of some positive employer impact. cowboyeagle05 wrote: I'll say what I always say these days the city needs to start planning to move out of Deep Ellum. The land the city controls down there is massive and perfect to absorb big developer interest in the area without tearing down the 1 story core that most people love in Deep Ellum. The city can then move those facilities to South Dallas as an economic improvement in a less than a wonderful area of town currently in need of some positive employer impact. I see this happening one day, probably in 3-5 years which is when Deep Ellum should be out of room in its current state. I would hope to see the street grid improved and returned to how it used to be before blocks were consolidated, which would improve walkability. Then, residential midrises and highrises (no lowrise donuts). Hopefully development will push into the abandoned areas south of 30 adjacent to Deep Ellum. It could even be marketed as South Deep Ellum or something "trendy" like "SoDeep" which is what all the other "cool" cities are doing hahaha. SoDeep could even become a second gayborhood lol. There will be no more gayborhoods due to the fact that reasons they were established in the past do not exist even with our current political climate. The existing ones in many cities continue to see shrinking dominance by the LGBTQ community and increased diversity from the heterosexual culture. The gay community has changed enough that it has only a mild need for a "gaybourhood" to be a functional part of society. Even now the Dallas gaybourhood is having desperate trouble hiring employees that are willing to stay working at gay establishments. Places like Tap House less so because it's a restaurant bar with a gay clientele. Other gay anchor businesses are having serious trouble finding quality workers since many are choosing more competitive jobs elsewhere where they are welcomed. Packed, vibrant streets filled with people? Oh, the horror! I don't get it, Dallas. Do you want a vibrant city center or not? There are ways to manage issues of crowds like this without killing businesses and vibrancy -- increase police patrol and close off Elm St. to cars on Fri/Sat nights between 10 PM - 2:30 AM. Reach out to Austin city officials to see how they manage Sixth St. We do stuff like this anyways for major events. Why not in our major nightlife districts? There's a clear demand for a Bourbon/Sixth St. like atmosphere in Dallas. Let's not kill it. They even described how it peacefully ended in 30 mins when people were able to filter out and started going home at the end of the report. You mean like every other bar scene in town! Try visiting the gaybourhood at 2 am when RoundUp, JR's, Havana, Sue Ellens, Woody's and Alexanders close. Half the people are waiting on rides from UBER, Lyft, Taxi's and from friends. Some are too drunk to know where they are going sadly and the rest in the case of the gayborhood are trying to get into S4 where they can drink water, red bull and sober up and dance till 4 am or until the rush of Uber and Lyft pricing is over. I mean come on you have to be realistic about how bar scenes function. At 2 am people are drunk driving themselves home, cruising through while others attempt to cross the street, not at the crosswalks. It's not safe by any stretch but they make it sound like its a shock that it happens. Maybe the gaybourhood is just used to that kind of crowd behavior. "Texas has a whorehouse in it!" The thing is no- people inherently in Dallas do not want real urban vibrancy or even any sort of chaos or population density, they want the bars and restaurants to feel exactly like the places they grew up in in the suburbs while having slightly more architectural character. This is also the problem when certain specific areas are designated as the party or club areas- that's literally all they become and there's no other purpose to the neighborhood. I'm amazed that even in Dallas in that video tattooed hipsters want more police and security around, which can make areas like this feel lame, overprotected, and kid friendly. Deep Ellum would benefit from staggering closing times. Bars should be allowed to stay open until 3 or 4, that way bars/restaurants/clubs in the neighborhood can close anywhere from Midnight to 4AM, thus not having these "crowds." But again- aren't crowds kind of a good thing? Doesn't that mean Deep Ellum is successful and doing something right? What would help Deep Ellum is not only bars opening up in other parts of the city but some of the surface lots becoming 2-4 story residential or office buildings, which would make this area feel less single use. cowboyeagle05 wrote: They even described how it peacefully ended in 30 mins when people were able to filter out and started going home at the end of the report. You mean like every other bar scene in town! It's so bizarre that's it's even a news story. This has been happening on Elm St. in Deep Ellum for at least the past year. And despite the waning of Uptown, it's still like that around Cedar Springs/Routh. Deep Ellum is so compact that it's easy to walk a couple of blocks to say Good Latimer or Main to catch an Uber/Lyft. The city better prepare itself because by 2020 with the completion of all of these upcoming projects, this crowd is going to double. Hopefully more and more businesses will move in, so the crowds can spread further down Elm (or Main or Commerce). hjkll wrote: The thing is no- people inherently in Dallas do not want real urban vibrancy or even any sort of chaos or population density, they want the bars and restaurants to feel exactly like the places they grew up in in the suburbs while having slightly more architectural character. I really don't get it when you consider the fact that DFW is comprised of an ocean of sprawling suburbs. So a few blocks of urban vibrancy in a massively sprawling metro is such a big deal? That video clearly shows a desire for urban vibrancy or else no one would go there. It's one of the advantages that Dallas proper has over places like Frisco or Plano. Dallas has to differentiate itself from its suburbs in order to remain relevant. Because some people equate the mayhem with the several robberies that have taken place in the neighborhood and they equate the "increased vibrancy" with increased crime. They have to realize that crime is going to always happen esp in any big city. Some of these people act like dallas is like a small town in east Texas. It's like they don't act like they live in a large city. A lot of people have small town mentalities here. I agree if things do continue to get more out of hand yeah maybe more officers etc ,but I hope they don't try to do anything to ruin the vibrancy. DE is literally dallas's bourbon street.Its really amazing to finally have something like this in Dallas. It's a great place to show off our of towners. My best friend from the Bay Area loves DE and is jealous that something like DE isn't up there to the extent. It's so strange, because that crowd looks AWESOME! Check out how many people are down there. Oh no, all of these people spending their money at businesses in a retail-heavy area! I also think they sped up the video to make the scene look more frantic. Ironically, more people around literally will lessen crime. I lived in New York for a while and I was always amazed crimes even happened in Manhattan because I couldn't fathom how- every street, every block there are people 24/7. You always have witnesses, and it makes you feel so much safer. If the number of retail storefronts and residents in Deep Ellum increased, crime such as robberies would probably go down. It's on blocks late at night that have 0 retail storefronts and 0 residents nearby where crime happens because there's no one around, because we're all forced to maintain a low density, provincial, quiet existence in America's 9th largest city. mcrdal15 wrote: Packed, vibrant streets filled with people? Oh, the horror! I don't get it, Dallas. Do you want a vibrant city center or not? There are ways to manage issues of crowds like this without killing businesses and vibrancy -- increase police patrol and close off Elm St. to cars on Fri/Sat nights between 10 PM - 2:30 AM. Reach out to Austin city officials to see how they manage Sixth St. We do stuff like this anyways for major events. Why not in our major nightlife districts? There's a clear demand for a Bourbon/Sixth St. like atmosphere in Dallas. Let's not kill it. 100% agree with you here. We have a great thing going in Deep Ellum, so let's find a way to manage it, keep it safe, and continue to let it thrive/grow. Like you said, there is a clear demand for it, so if we shut down Deep Ellum, all that is going to happen is the nightlife will move elsewhere. And, honestly, out of the entire metroplex, I'd say Deep Ellum is probably the spot that makes the most sense. It's bounded by highways and rail, close proximity to the densest neighborhoods in our metroplex, extremely walkable, and (for the most part) separated from residential. You can't really ask for more than that. “People know now that people with money are here and so as it becomes more affluent I guess this kind of thing is going to happen,” he said. ^^ While some truth to it, most of these crimes are occurring away from the crowds (Elm/Main) and at off-peak hours. This is the type of vibrancy Dallas needs. Close the street to traffic like 6th street in Austin. Problem solved! This local CBS station 'news'report is ridiculous. I'd love to know who signed-off on this one. "Ooh lots of people on the street after dark--be very afraid." As many of you have stated, urban vibrancy is exactly what is needed. Stories like this are, I truly hope, the last vestige of 'old school' Dallas thinking. You know the one that always wants so desperately to be 'world class' then acts like 'Smallville.' The good thing is, Dallas really is evolving into a great city and for whatever faults it still has, I'm delighted things are where they are today. citygeek wrote: This local CBS station 'news'report is ridiculous. I'd love to know who signed-off on this one. "Ooh lots of people on the street after dark--be very afraid." You're 100% correct. I like what dallas is becoming. 5 years ago not so much. I think DE can be a top nightlife destination soon once it becomes more popular. The (remnant) blue laws continue to cause more problems than they solve. The state needs to give cities the power to manipulate alcohol sales as they see fit. Some places like Deep Ellum and Cedar Springs should be allowed to serve 24/7; every city in the state has a party destination that would be made safer and more enjoyable without the 1:45 last call. Or at least serve later than 2am. Shreveport can serve till 6am, but that's because they have casinos. At least Dallas doesn't have the Frisco "we can't serve past midnight" mindset (despite Plano, across the street, being able to serve till 2am). So many times, I've had to explain TX liquor laws to people visiting from outside the state, and they can't believe it. 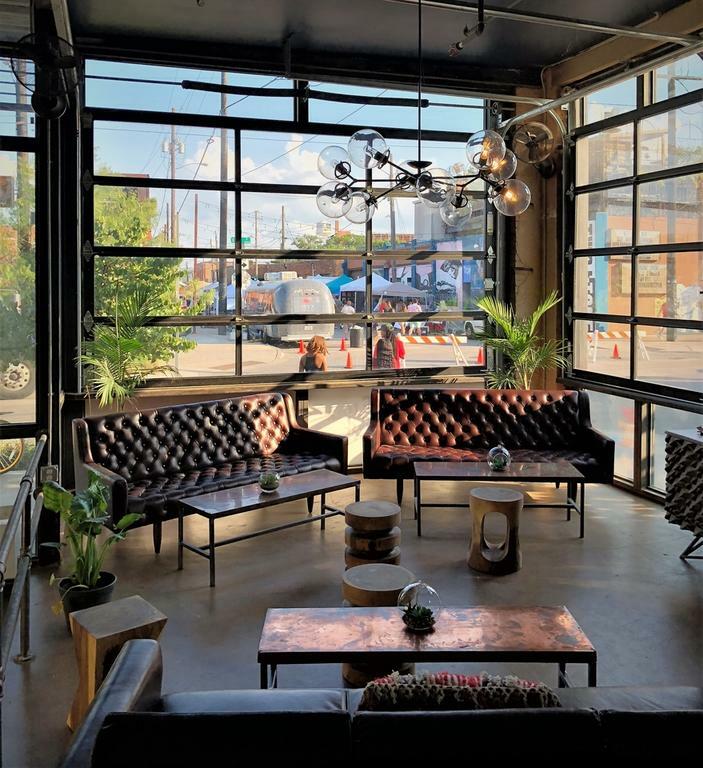 D Magazine has a user poll on the closing of Deep Ellum streets on the weekend. OK, so if we close the roads do we lose access to the parking lots they serve? More people and less parking does not compute. willyk wrote: OK, so if we close the roads do we lose access to the parking lots they serve? More people and less parking does not compute. This isn't the suburbs, this can absolutely work in Deep Ellum. There is still plenty of parking in the area, and you also have ride sharing and public transportation. This absolutely needs to happen in DE, so we can take the next step to becoming more like Bourbon St. and 6th Street. And for those of us who live on those streets? Hannibal Lecter wrote: And for those of us who live on those streets? You actually live off of Elm between Malcolm X and Good Latimer? The closures would only be from 11 PM - 3 AM on literally 2 nights of the week. As the article states, city officials should look to successful examples in Austin and Fort Worth. Maybe July Alley becomes mostly a resident only driveway. Back in the day, a friend's friend living across the parking lot from Trees would occasionally host pay phone watching happy hour. The reactions to prank calls from suburban excursionists was a hoot, to some. I never lived in Deep Ellum partly because I want at least a small garden-yard, but the appeal of living above a busy party is super strong. I'm not necessarily a fan of weekend night street closures, but would not oppose a good plan. I would much rather see the sidewalks grow wider and the streets grow narrower to accommodate crowd swells. Stop serving booze at 2:00 until that changes, whatever but is the law/ordinance to get everyone out by 2:30 from the state or city? Allowing bars and restaurants and clubs to stay open after last call would only help... give folks an hour or two to work off the inebriating drink(s), stagger the crowd flood. I won't speak for Hannibal Lector, but July Alley is pretty accessible if you're taking Gaston to Malcolm X or Commerce to Malcolm X. There have been several times that Dallas PD have closed off that part of Elm on Fri/Sat because traffic was so backed up. Not sure if anyone has been following the Deep Ellum mural drama....pretty interesting what’s going on in the Ellum. Westdale really stepped in it and seems to be digging an even deeper hole. A building owner had every right to paint their buildings how they see fit but the way it they went about it makes them look like total a-holes. The murals were promoted by Rohrman but I’m not sure Asana knows what they’re doing. Carpetbaggers from NC don’t understand the neighborhood. It’s just a couple of shootings alway from going into one the many declines DE has seen over the years. Westdale wants it to be all residential which I’m sure makes more money than low rise retail but the neighborhood has always been more commercial than residential. So what is the story? You are hinting around some drama but what is actually happening? Similar things have happened in DE before. The "Ace Parking" lot used to be an international street/graffiti artist destination until it was shut down about a decade ago. This is ridiculous because it was a commissioned work, about Vets from an often overlooked war, buffed before the 4th, not long after it was painted. Oops. I don't really like graffiti that glamorizes or praises war. Patriotism is uplifting, critical and as easily manipulated as anything there is. We may have the greatest army in the history of the world, but we have not won a war in generations. How about a commissioned work that extends honor to the soldiers trapped by perverse military complex bound to incessant war with no vision to finish. tamtagon wrote: I don't really like graffiti that glamorizes or praises war. Patriotism is uplifting, critical and as easily manipulated as anything there is. We may have the greatest army in the history of the world, but we have not won a war in generations. I'm sure the country of Kuwait, the people still alive in Kosovo, and dozens of my fellow soldiers... some friends, some family... some still serving, and some who paid the ultimate price have a very different perspective on this matter. But, I won't divert the thread any longer. tamtagon wrote: We may have the greatest army in the history of the world, but we have not won a war in generations. Anyone know if the Punch Bowl Social proposed for 2600 Main is still happening? Building looks as dead as ever. 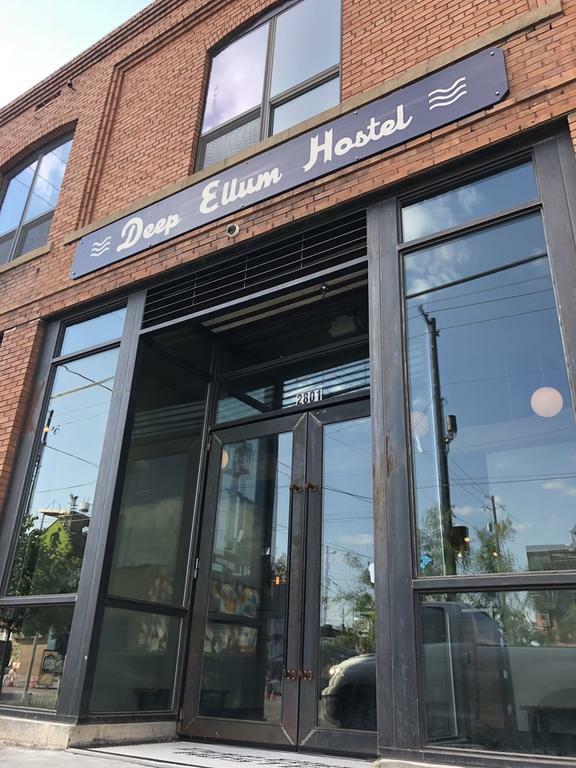 The Deep Ellum Hostel is NOW OPEN! I wish them all the best! The design looks very good. The tapas/bar concept, Izkina, is still not open. Their website seems to be a work in progress but you can book beds/rooms here or on any of the major travel sites including Hostelworld. The beds start at about $40/night which is on par with what I've seen in Europe. I wonder if people might also use it as a crash pad in Deep Ellum if they decide they've drank too much to go home? 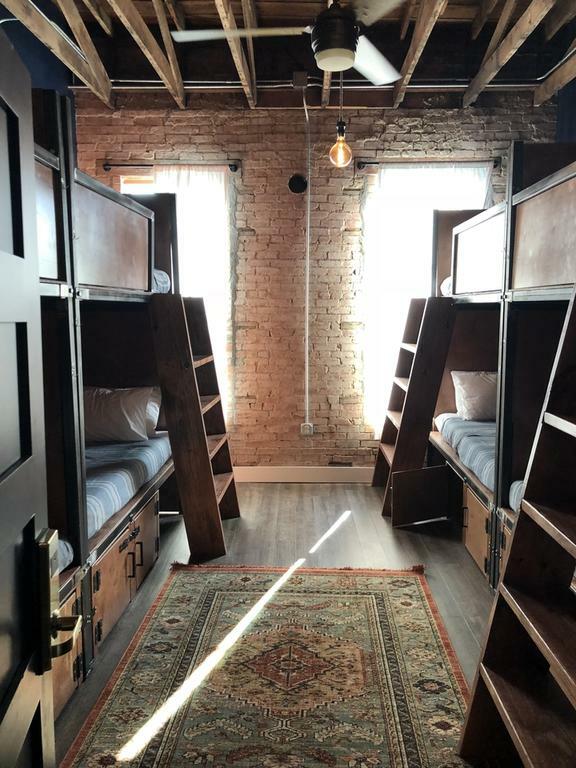 It's a good sign, having a hostel in Deep Ellum. It ought to do very well. Yeah, that looks awesome! How funny too, the crash pad notion. I bet the smaller touring bands that play the clubs in Deep Ellum will welcome this! Dorm rooms are perfect for them. I think it looks fantastic! This will be a great place for people to stay who are visiting, and they will get such a great impression of Dallas. eburress wrote: Yeah, that looks awesome! How funny too, the crash pad notion. Haha, yeah I never considered it as a 'crash pad', but at $40/night, it's cheaper than Uber/Lyft for a number of people. I hope we see more of these pop up around Deep Ellum. They will do very well. Warrior2015 wrote: will there be parking? Probably not, thankfully. A hostel does not cater to the type of traveler that will be traveling around in a personal automobile. Izkina offers guests and Dallas residents alike a Spanish-inspired experience with some simple Spanish cocktails, like red wine and cola, sherry with lemon soda, traditional mixed drinks and sangrias. To finish out the effect, the menu is complete with six gin-and-tonic options, from traditional (with Fords Gin and Fever Tree tonic, orange, jasmine and coriander) to Asian-inspired (with KI NO BI Kyoto Dry Gin, shiso, ginger soda and kumquat). Some more information about the hostel and the restaurant/bar that is coming with it. 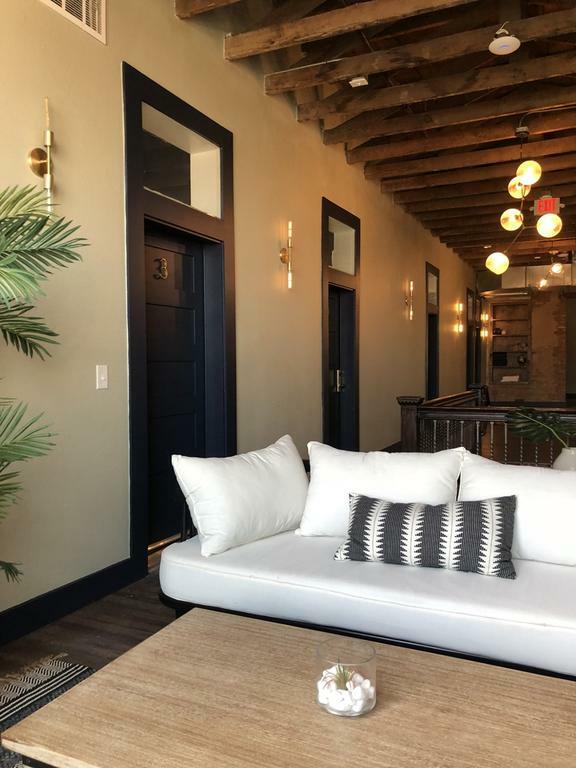 I'm super excited Dallas now has a hostel, but this just seems a little too upscale for a hostel. I think there is definitely some more room in the market now for a hostel at 20 bucks a night with a cheap bar for $2-3 beers. In Germany there is a really cool concept in which a warehouse was filled with small RVs for individual apartments. Not sure how this would stand up to code, but it seems like a pretty limited investment and could fit in plenty of the old warehouse spaces outside of Deep Ellum or in the Design District. This seems more like an inexpensive hotel than a hostel. Backpackers staying in hostels are looking to pay about half that amount or less to share a room with others. This has definitely been dallasized.